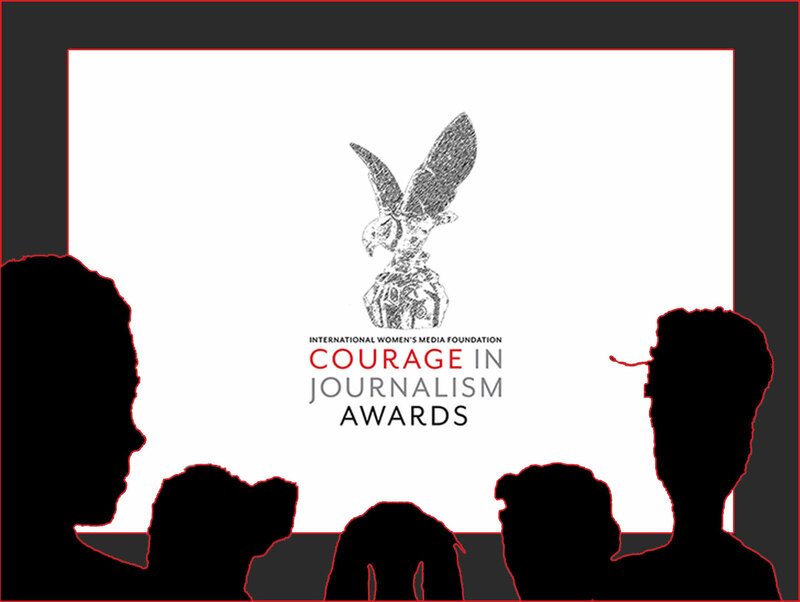 Since the International Women’s Media Foundation (USA) launched the “Courage Award” in 1990 more than 100 journalists from 56 countries have joined the list of fearless laureates, working in the diverse media of television, radio, print, and film. Laureates from Africa include: Mwape Kumwenda (Zambia) 2015, Lusiku Nsimire (Congo-DRC) 2014, Reeyot Aleum (Ethiopia) 2012, Vicky Ntetema (Tanzania) 2010, Agnes Taile (Cameroon) 2009, Serkalem Fasil (Ethiopia) 2007, South African-born Gwen Lister (Namibia) and Salima Tlemcani (Algeria) 2004, Sandra Nyaira (Zimbabwe) 2002, Amal Abbas (Sudan) 2001, Agnes Nidorera (Burundi) 2000, Lucy Sichone (Zambia) and Saida Ramadan (Sudan) 1996, Horria Saihi (Algeria) and Chris Anyanwu (Nigeria) 1995, Catherine Gicheru (Kenya) 1992. As we applaud their courage and fortitude, the award also reminds us of the perilous work of media professionals. "In 1995, I was invited by the International Women’s Media Foundation to received the Courage Award. It was heartwarming, really, to find myself in the middle of New York, it was a dream. I actually had tears in my eyes, it was very powerful. I received the prize in the name of the Algerian people. I dedicated the award to all the women. It was an eagle with widespread wings which represented force, but also fragility, because it was made of crystal. I dedicated the award to two women, the women who have marked my life. One was a very good friend, a colleague and journalist, Rachida Hammadi who was assassinated by terrorist fundamentalists. She was of such fragility. She was not tall, only four feet nine inches, and frail, but of a courageous and implacable will. She was always busy and constantly in the field. You could always hear her saying "I was told that such and such a thing has just happened, we must go there." She never said that she was tired. This woman symbolized this courage for me. It is not me who was awarded this prize, it was Algeria, it was these women who continued to remain standing, who carried Algeria in their two arms. I dedicated it to another woman who I met in a region that has suffered tremendously, Jijel, which is 500 kilometers from Algiers. It is a zone that has a reputation for being the stronghold of fundamentalists terrorists. There I met a marvelous woman. I say marvelous because, having come from a big city, we only meet intellectual women who are well-read, articulate, who are able to say what they think. But these women, we do not meet outside in the streets. Moreover, the press, the television, the cinema are interested in women who are very present before the camera, who are mediatized by the national and international press. However, this woman was in the countryside, she cultivated the land, she participated in the national liberation war in the capacity of a fighter. During the last nine months of the war she was pregnant. Thus, she was at the same time fighter and mother. And this woman brought into the world, the day of independence 5 July 1962, a child who she called Abdullah. Abdullah means the child of God, the creation of God. She could have died with the child in her womb, and yet she carried him right up until independence and brought him into the world. This child's mother, who was not literate, wanted to give him a good education--a sort of payback for her--so that he could be intelligent and go to the best schools and universities. And her son was assassinated by the terrorists. This woman took up arms again, not to avenge her son in a feudal manner, but to avenge him by continuing the fight, so that there will never be blood in our country again." Report by Beti Ellerson. Updated April 2018.